For a four-day week, it was basically the longest week ever, so we’re going to keep this short. We’ll skip right to the chase here. The US market followed through on its big comeback yesterday, despite a neverending slew of dicey headlines. 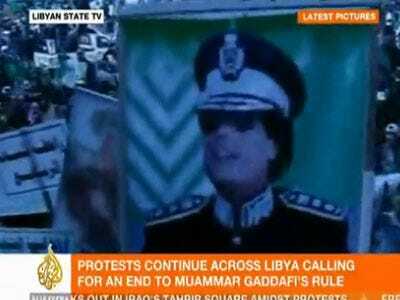 Qaddafi spoke again, and doubled down on his position. There were also riots in many other Arab countries including Iraq. The GDP revision was weak. UK GDP was weak, too. Oil prices rose, too. The agricultural commodities that had been getting clubbed all week, perked back up. Gold and silver finally slid. Copper rallied. The US has evacuated everyone from the Tripoli embassy.